You know the song “Over the Rainbow” by Harry Nilsson? It’s one of my most favorite songs. That along with “Here Comes the Sun” by the Beatles. Clearly I’m a fair-weather girl. And always looking to the future? Maybe I should delve into the deeper meaning of this…but, back to the song. Guys, it is a classic. The melody, the lyrics–“Where troubles melt like lemon drops”?! It’s so sweet! Which inspired us to create an even sweeter (pun intended) application of rainbows! 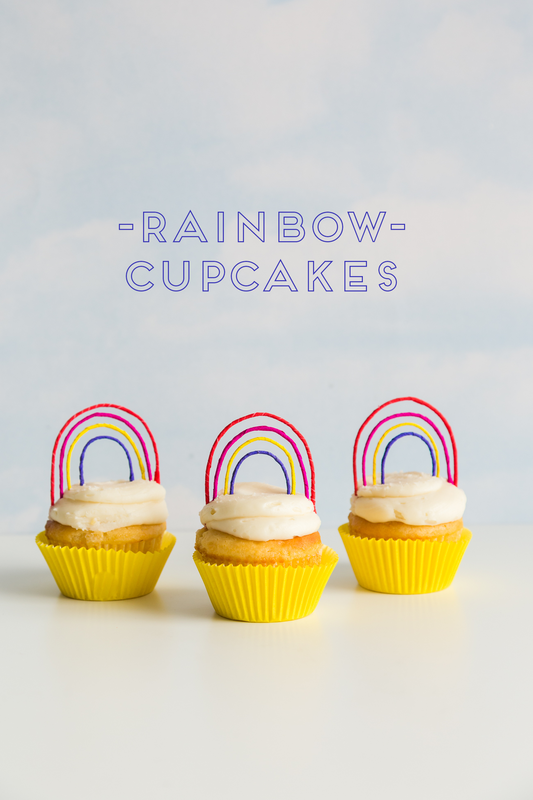 These rainbow cupcakes are so simple to create and look absolutely adorable! With St. Patrick’s Day coming right up, these are the perfect treat to celebrate. Or maybe you know someone who is feeling a little blue and could use a pick me up. These rainbow cupcakes are a surefire way to melt their troubles like lemon drops. So listen to a little Harry Nilsson, make a batch of rainbow cupcakes, and ride a unicorn! Okay, forget the unicorn, let’s just spread some cheer! Valentines Day is a one of the most loveliest of holidays, don’t you agree? I know a large portion of you might believe it’s only fun to celebrate if you have a significant other, but I beg to differ! Proof here. 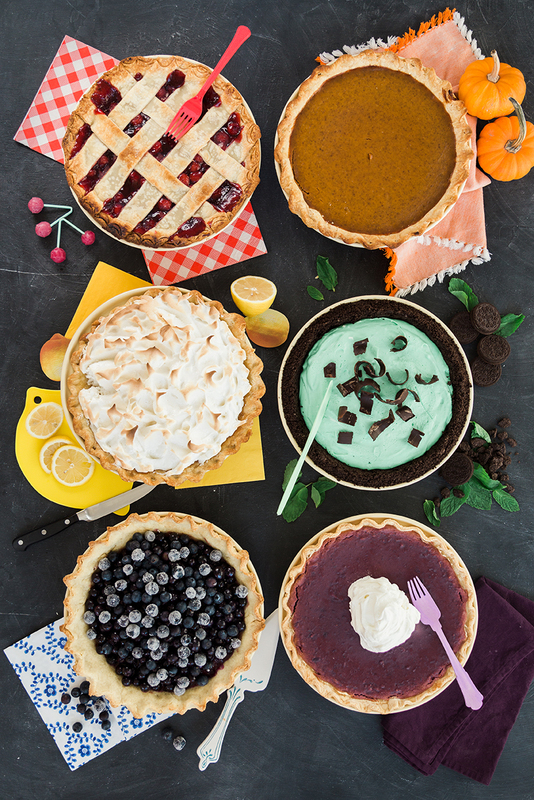 Rather, I think of it as an opportunity to show love and gratitude to others, wear all the pink and red you want, and eat copious amounts of sweets. Preferably chocolate. Now tell me who wouldn’t like that kind of Valentine’s Day. Now that we’re all on the same page, I’ve found that whether you’re gloriously single, in a happy relationship, or married to your work (we’ve all been there), cupcakes equal the universal love language! 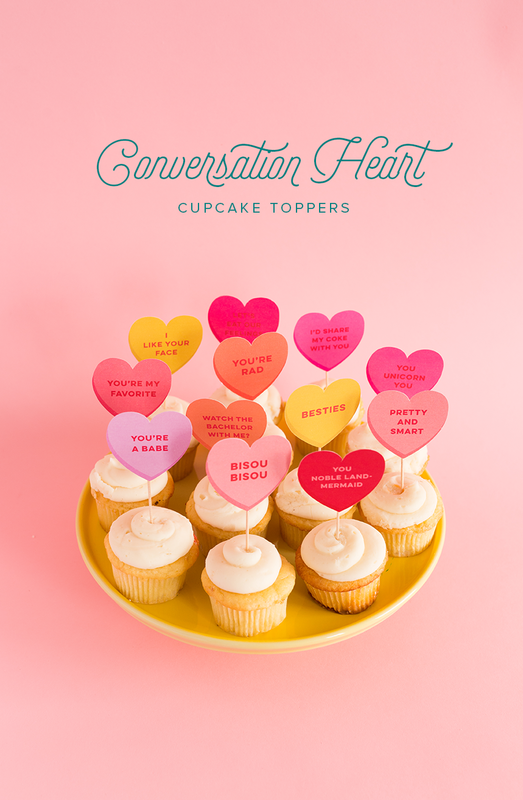 So we decided to doll ours up in true Valentine’s Day fashion with these printable conversation heart cupcake toppers! With sayings appropriate for your BFF: “Watch the Bachelor with me?”, to your current crush: “You noble land-mermaid”, there’s something for everyone! 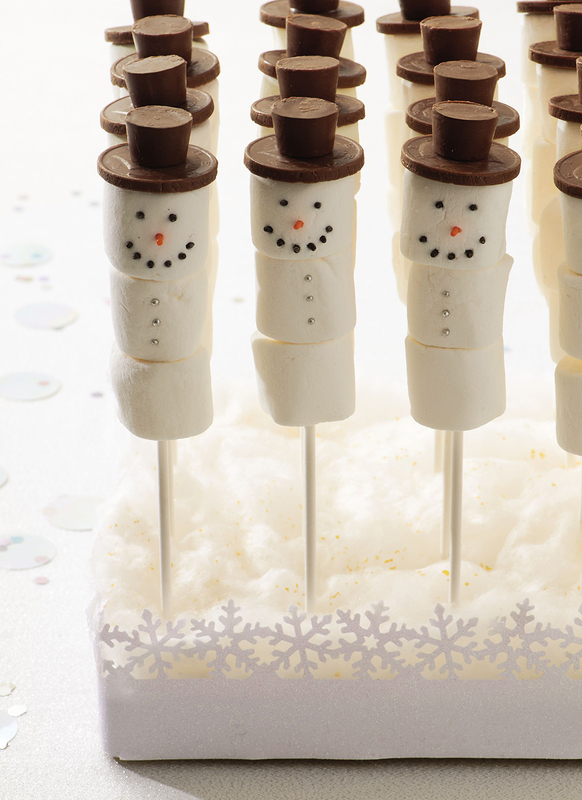 Time to bake a batch of cupcakes… or support your neighborhood bakery… and spread some sugar-coated love! A few weeks ago we were delighted to have cactus cupcake extraordinaire, Alana Jones-Mann, visit the Lars Studio for our Cactus Coloring book reveal party! She flew in early in the morning and flew out late that same day! Talk about a trooper! Alana was our guest-of-honor at the party, showing us how to make her delicious desert masterpieces step-by-step. It was AMAZING. 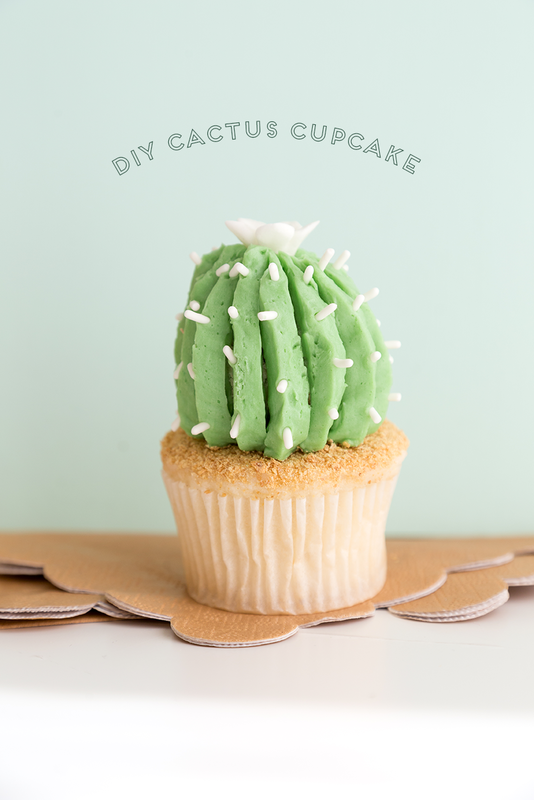 But, we didn’t want anyone to feel left out, so we created a quick cactus cupcake tutorial video so you too can create these spiky sweets! We collaborated with the super talented Trisha Zemp to make this adorable stop-motion video that will leave you crazy for cacti. You’ll be surprised at how simple the process actually is, so make sure to give it a whirl! We included written instructions as well to help you on your way!